OSEIA is working to increase access to solar. This year we are hosting Oregon’s 1st Solar Career Fair and offering students of university, community college or qualifying pre-apprenticeship and apprenticeship programs a 90% discount off of conference registration. The Oregon Solar Dashboard was developed to share information about solar energy facilities installed in Oregon. OSEIA elected a new executive committee and a board of directors for our developing 501 c3 which you will hear more about soon. We are happy to report that ALL of our priority bills are scheduled for a work session, meeting that first deadline. Here are the updates! Register for April & May courses taught by Ryan Mayfield! Both Solar PV Systems based on the 2017 NEC & Solar PV Systems Best Practices & Energy Trust Requirements will be offered in various locations. Has your region seen an increase in photovoltaic (PV) system installations? Would you like to know more about what aspects of a PV system need the most focus, either due to safety concerns or common installation errors? The fair will be organized by job function rather than by business so you can hear from industry professionals about their roles in solar. The goal is make it easy to network with new people whether you’re recruiting, looking for a new job, or expanding your network. 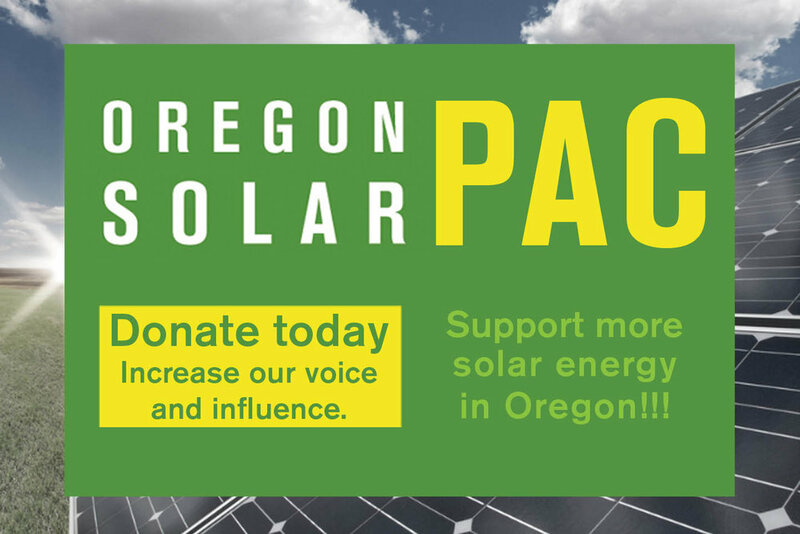 We need your help in support of bills that impact Oregon’s Solar Industry. HB 2496, HB 2587, and HB 2855 all have hearings the week of March 25th. Things are heating up in Salem with committee deadlines coming up in a few weeks. And your help is once again needed! SALEM — The Oregon Department of Energy is pleased to announce it is accepting applications for its Renewable Energy Development Grant program. ODOE has approximately $2.75 million available for projects that generate renewable energy in Oregon. OSEIA is partnering with Renewable Northwest to find solutions to several land use challenges. For projects going through the Energy Facility Siting Council (EFSC) process, it is expensive, time consuming, and requires unnecessary studies for noise, volcanoes and earthquakes. OSEIA supports HB 2329 which would raise the size of project required to go through EFSC and allow projects to choose the county or EFSC route. 5 Ways You Can Show Up For Your Industry! For those of you who are new to Oregon’s solar industry or want to engage more, here are five ways you can show up for your industry! OSEIA is stronger with engaged board members, we want to thank all of our current and past board members for your commitment to OSEIA over the years. OSEIA members have been installing solar panels on public buildings for years, but everyone has a story of a project that cut the solar project in the end. The requirement currently has no enforcement mechanism, leaving projects all over the state unbuilt. HB 2618, which creates a solar rebate grant program to replace the RETC, got its first public hearing on February 28th. The hearing was strong – Rep. Brock Smith (R – Port Orford) testified in support of the bill as did OSEIA members Tom Kelly, James Reismiller and Newt Loken.